This week, it’s Mightier Than the Sword. Co-host Steph Spaulding and I show by example the leap of faith and specific intentions of editing in general, and peer editing in particular. We have swapped manuscripts for editing purposes, with different editorial goals for our work, and we walk you through the process of editing. Aspiring writers and editors, pay attention! Speaking of editing, in editing this podcast, I realize how insecure I sound. I think many of you out there will empathize with ... See More my plight- seeking editorial help and constructive criticism, but also deathly afraid to actually receive it. Our next Mightier Than the Sword is the follow-up to what happened with this foray into peer editing. It’s an honest look at a sensitive subject, but just so you know- Steph and I remain the best of friends. 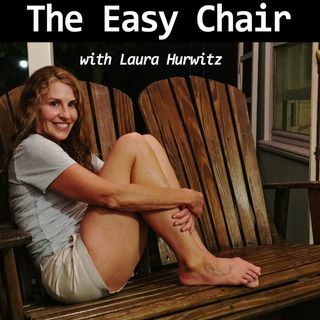 Writers with questions/suggestions, daters with stories/insights, email us at easychairpodcast@gmail.com with the appropriate podcast (here’s a thought-use acronyms!- MTTS or SSL) in the subject line. Hannah and Jake and Steph and I want to hear from you!